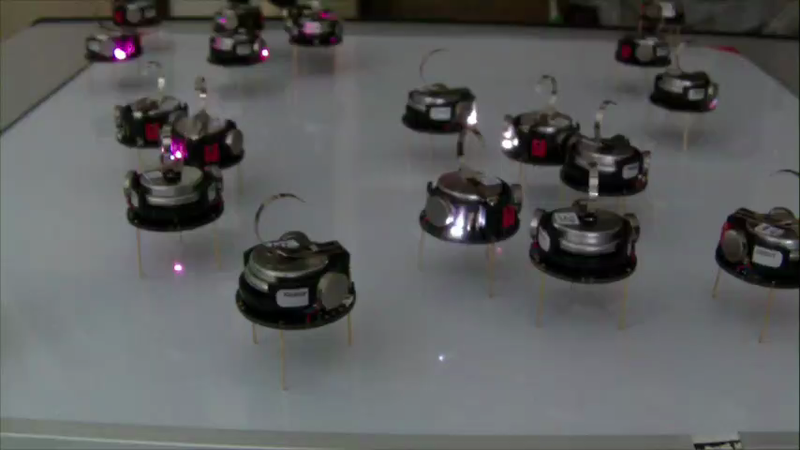 The project has contributed to the design of algorithms for robot swarms for value-based decision making. In this video, produced in collaboration with the DIODE project at the University of Sheffield, we show 150 kilobots collectively deciding for one of the two available alternatives. The algorithm has been developed after a design pattern fro collective decision making developed within the project. This video demonstrates an implementation of the naming game for the Kilobot robotic platform. The video accompanies a paper to appear in the IEEE Robotics & Automation Letters. In this paper, we discuss the effects of a physical implementation on the consensus dynamics resulting from multiple agents concurrently playing the naming game. We show that both concurrency and physical interferences have a bearing on the system dynamics. 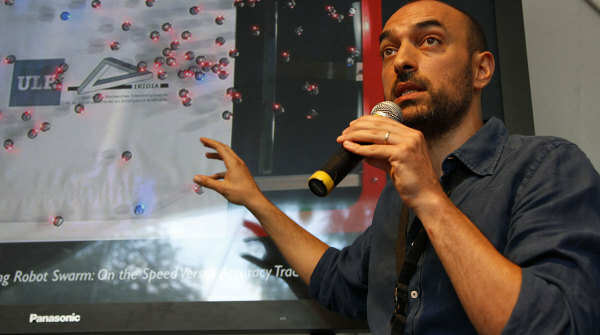 See the video of the keynote (in Italian). Videos and images posted in this section (when not hosted elsewhere) are licensed under a Creative Commons Attribution-NonCommercial-ShareAlike 4.0 International License.